Believe it or not though, rain can do much more than damage a car’s appearance. Rain can cause issues below the surface of a car’s paint, too. In addition, acid rain can leave sulfates that ruin a car’s finish over time. The auto industry and EPA both agree that environmental fallout such as acid rain can cause damage. While “environmental fallout” can include decaying bugs, bird droppings, air pollution and others, acid rain is one of the largest causes of automotive finish damage. As rain evaporates on a vehicle’s surface, it leaves behind deposits of pollution from burnt fossil fuels, which are collected in atmospheric water vapor such as rain, snow and even fog. Environmental pollution leaves acidic residue which, over time, will eat away at paint jobs. 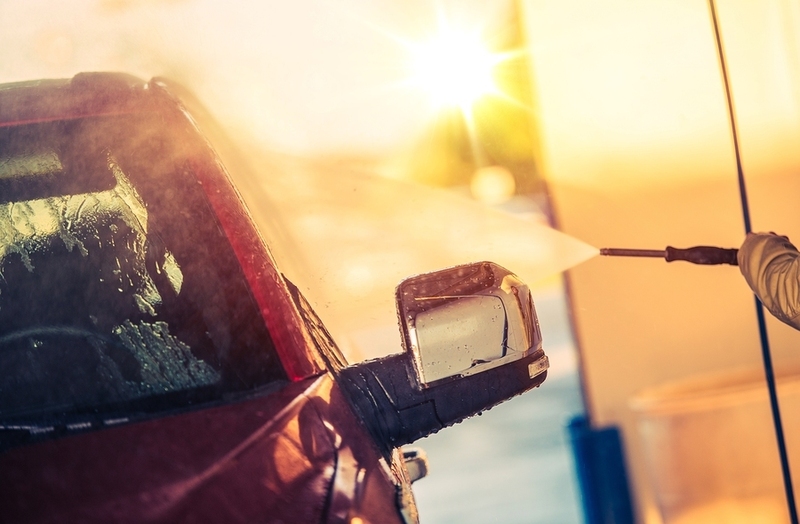 To protect a vehicle’s finish, Mr. Clean Car Wash recommends frequent car washes (especially after it rains). Car washes remove corrosive residues left behind by acid rain. Washing the car regularly keeps the surface clean of sulfuric and nitric acids, which can damage the clear coat and paint. Mr. Clean Car Wash also suggests use of waxes and protective coatings, which can be applied during the car wash or by one of their exterior detailing services. In between washes, keeping the vehicle covered or out of the rain completely will help avoid damage. However, a car will inevitably face rain. Keeping it clean and waxed is the best defense to the effects of rain. For more information on keeping your car exterior looking good, visit a local Mr. Clean Car Wash & Oil Change Plus and join Mr. Clean Car Wash’s free VIP Club to receive free car washes and other promotions.